In a condolence message, P Chidambaram said it was a fact that Atal Bihari Vajpayee had no enemies and it was his distinguishing hallmark. Senior Congress leader P Chidambaram today described former Prime Minister Atal Bihari Vajpayee as someone who anchored the BJP close to the middle and did not allow the party to swing to the extreme right of the political spectrum. 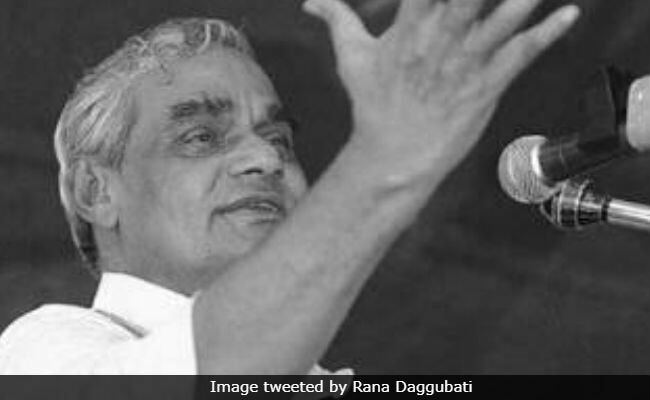 In a condolence message, he said it was a fact that Atal Bihari Vajpayee had no enemies and it was his distinguishing hallmark. "As long as he was at the helm, he resolutely anchored the BJP close to the middle and did not allow the party to swing to the extreme right of the political spectrum," he said. The former finance and home minister said the BJP patriarch would be remembered for many things but above all for his genuine efforts to resolve the decades-long hostility between Pakistan and India. "Vajpayeeji was a man of great wisdom, tolerance and compassion. He led his party to its first victory in national elections and established the credentials of the BJP to run the central government," he said. The 93-year-old leader passed away today at AIIMS in New Delhi.